I was just cruising the web and saw an ETonline reel that shows Kate Hudson “flaunting” her amazing abs in a two piece. Am I jealous? Damn straight! She does look amazing but for Pete’s sake, she’s only frickin’ 35! I would hope so. Now if she had her mom Goldie’s body standing next to her with the two of them in great form, now that would be impressive. Granted not every young woman can look that hot, but that’s part of her job. Don’t get me wrong, I love the girl! She’s not only beautiful but sweet as well. When I lived in Grand Junction, Colorado, I would go up to Aspen from time to time and on occasion visit Snowmass which is where the family had another home. At the time, many years ago, my friend’s daughter managed the gift shop there and the consensus by all the employees was that these kids were great, well behaved and well mannered, a rare complement for show biz kids that generally had a tendency to be spoiled and a bit entitled. That was not the reputation of these kids. That says a lot for Goldie and Kurt. My husband says I have a crush on the pair and maybe so. When I hear kids are well behaved I can’t help but praise the parent, having been a parent and knowing how difficult a task it is to “raise them right”. It also wasn’t uncommon too for the family to be in Grand Junction either, Kurt liked to hunt and would come in for hunting supplies at the sporting goods store I worked at. I also believe with every bone in my body that at one of our street fair events and before she became famous, young Kate joined me and my mother in law for a group dance at a Cinco de Mayo street event. (My mother in law is awesome fun and with her, kids generally gravitated to us) The only reason I suspected it was her, was because she looked like a young Goldie. That was a very long time ago now, but I thought her sweet and effervescent. One of the things I want to reiterate is this is NOT a Kate slam, at least it’s not meant to be. It’s just a comment of the hoopla the media has made over her amazing abs. Well, at age 35 and up to age 50+ Goldie had amazing abs. However, like me, now that she’s older than dirt (and she and I are the same age, so I can say that), maintaining them has not been easy. I have learned that after 50, it became a major struggle to maintain the middle part of my body, period, but alas, I’m not alone. I’ve noticed that Goldie, Sigourney, Susan Sarandon, Diane Keaton, Meryl among others are in the same boat. Please understand, they are NOT fat. Theirs is just not the hourglass figures they once were. Oh well, as if that was the end of the world. They do what they can and well, it’s just a part of life. Judging by the pictures I’ve seen, they still look fit and I applaud them for aging gracefully and confidently, while dressing optimally and still looking amazingly beautiful. And I will say this, if they haven’t been under the knife, kudos to them because that fake, tight smile does nothing to enhance their looks and it is my hope Kurt doesn’t ever go the way of Redford and Kenny Rogers among others who have lost their sexiness trying to keep that young look. The last time I saw Kurt he was still looking amazing. 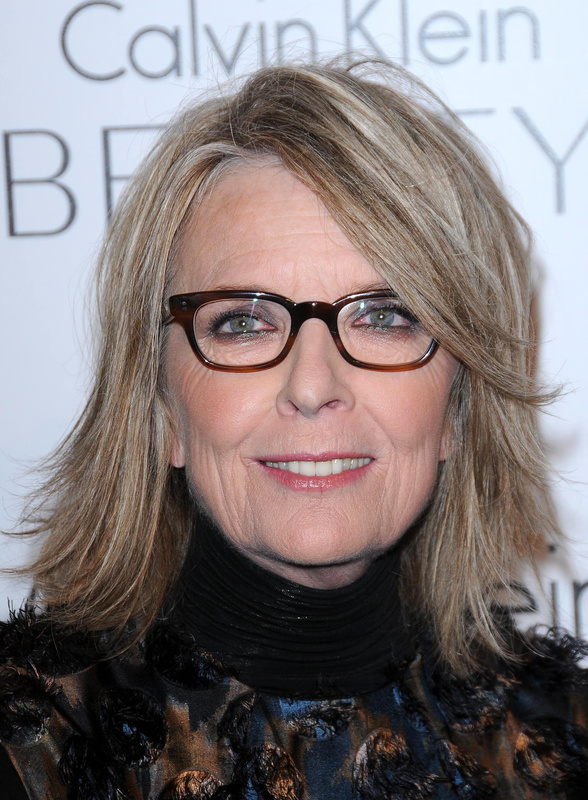 Diane Keaton is another one of those actors that looks every bit as gorgeous now as she did when she was young. Has she had work done? Last I heard, not. Those abs…damn it is a struggle! Really great to hear what a nice family they are!! Ah yes! She’s enviable because she so does her own thing, her own luck. She just exudes confidence.